Our website features an audio player for some of our posts. To play the audio, please follow your screen reader instructions to click the audio Play button link, you may be able to pause and re-start the audio by pressing the space bar. 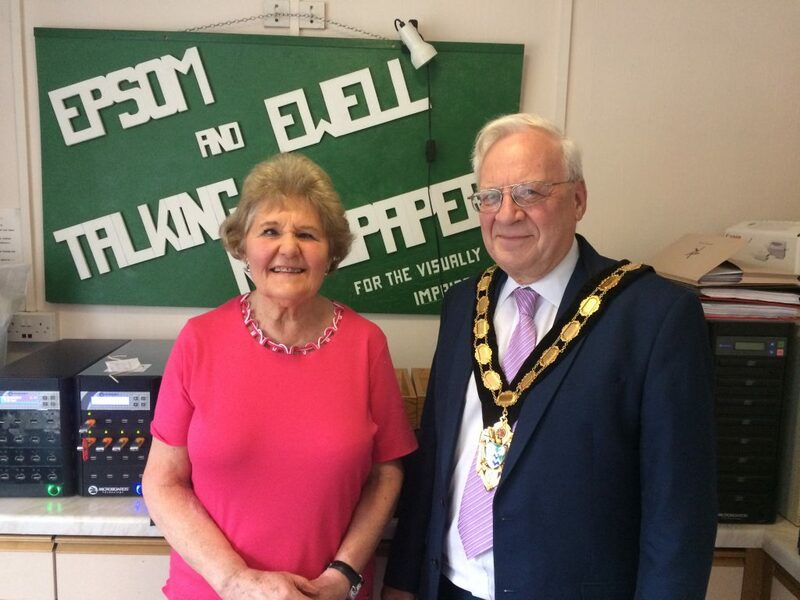 The Epsom and Ewell Talking Newspaper is a charity producing a weekly sound recording of news and other items primarily for blind and partially sighted people. Please explore our site to find out more about what we do. 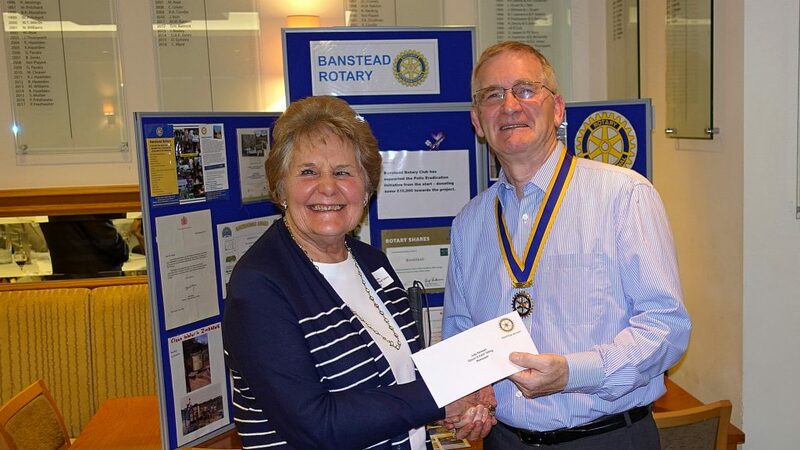 On Tuesday February 19th at Cuddington Golf Club, Chair Judy Sarssam was delighted to receive a cheque from the President of the Rotary Club of Banstead, David Martin, on behalf of the Epsom and Ewell Talking Newspaper. A group of volunteers at the Rotary Club raised £12,675 for local charities over the Christmas period. We are very grateful to Banstead Rotary Club for their generosity in donating some of their Christmas charity collection to the EETN, which they have generously divided between five local charities. It was a great pleasure to meet the recipients of the other awards and there will be compiled a list of possible ways to help which we can share with each other. The EETN volunteers and listeners wish to sincerely thank the members of Banstead Rotary Club for their generosity and hospitality. We look forward to keeping in touch with them to report on the progress of our IT renewal project.